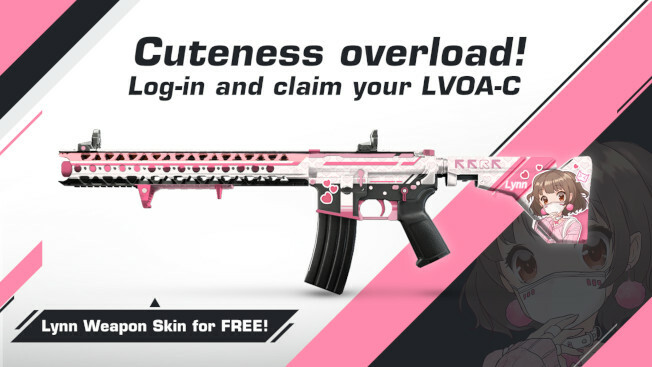 Ring of Elysium‘s most recent update hit on Saturday, bringing with it a series of gameplay and technical changes, as well as a limited time event that will reward players with an overly-cute weapon skin — the LVOA-C Sweetheart skin. The event kicked off on Saturday and will run through March 29. During the event, players who log in will be able to claim the skin in question as a free 14-day trial version. Those who wish to keep the skin will need to earn 100 points by logging in and completing daily missions. Logging in grants 10 points each day. Completing the daily adds another 5. So, basically, players have the option of just logging in over the next 10 days, or logging in and completing the daily missions in order to get their 100 points in seven days. Of course, that’s not the only thing Ring of Elysium players can get their hands on. Last week, the developers announced players will be able to get their hands on the Season 3 Adventurer pass for free. More information on that can be found here.